News agencies mistakenly report that the a truce is now being discussed with Hamas, such as the armistice that ended hostilities in World War I, exactly 100 years ago, on the 11th hour of the 11th day of the eleventh month on Nov. 11 1918, paving the way to the Versailles peace treaty and the genesis of the League of Nations. However, the three Arabic nuanced terms being discussed with Hamas as a resolution to the current situation have nothing to do with a truce. • Hudna – a tactical pause intended only for rearmament, a temporary respite in the war between Islamic forces and non-Islamic forces. • Hudaybiyyah – An understanding that there will be no fighting for 10 years named for the “treaty of Hudaybiyyah” in 628 AD. And there was another hudna with Gaza which lasted until the end of Dedember. 2008, which witnessed 878 attacks fired from Gaza. Full disclosure: Our agency retains the services of an Arab news team in Gaza. We asked them what was on the agenda – a truce or a Hudna? 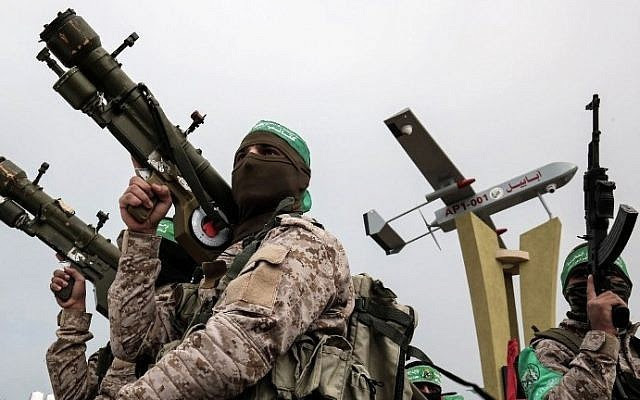 Their answer was that the term being used by Hamas and the entire Gaza public domain is that what is on the agenda is a Hudna, which no one is obligated to observe.